Thor is back and fighting to save Asgard from his evil sister, Hela. Along the way, he is hunted by a Valkyrie warrior and is pitted against Hulk in a gladiator battle. 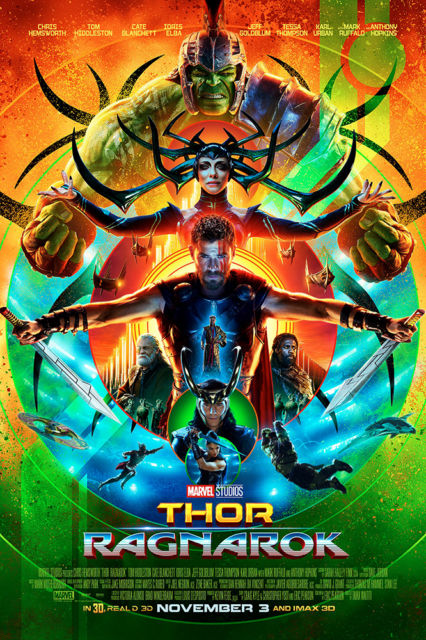 Thor: Ragnarok is just plain fun! It has action, just the right amount of humor and a major all-star cast. Cate Blanchett’s performance as Hela was so good that until the credits rolled, I had no idea it was her.